Up to 71 percent of enterprises said they were satisfied with the tax administrative procedures reform in 2014, according to a report released in Hanoi on August 11. 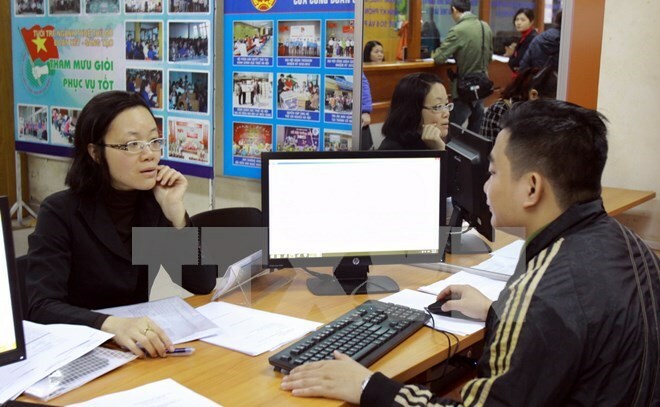 Among the 2,500 surveyed companies, 58 percent considered information about tax procedures to be simple and understandable, said Dau Anh Tuan – Head of the Legal Department of the Vietnam Chamber of Commerce and Industry (VCCI). However, seven in every 10 businesses reported difficulties in learning about tax-related policies and laws. Forty-nine percent of the respondents also said they met certain obstacles in registering for taxes or adjusting tax registration information. Fifty-three percent of the replies said tax staff members had appropriate attitude when working, and 52 percent had positive assessments of the tax staff’s professional capacity, Tuan said, adding that 48 percent recognised substantial improvements in the tax sector’s information dissemination, assistance to tax payers, management and inspections. He also underlined that 32 percent of the enterprises admitted they had to pay unofficial fees to tax officers while 40 percent said that they would be discriminated against if they did not pay such fees. VCCI President Vu Tien Loc said the report shows the recent reform of tax procedures is on the right track, resulting in initial successes. It also encourages that the efforts be carried out continuously since the business circle has pinned high hopes on the sector’s performance.